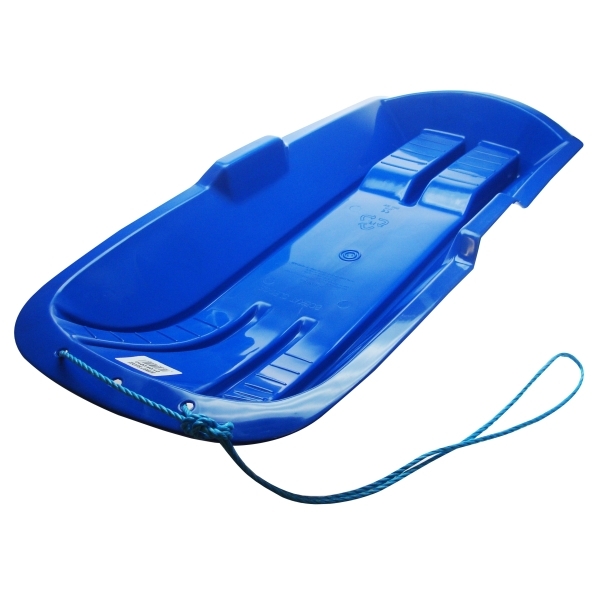 We would describe the BobKat Blue Sledge Toboggan as a racy design, with excellent snow gliding properties. It is suitable for either teenagers or adults, and there is plenty of room on it at 92 cm by 39 cm. It is also suitable to use either sitting upright or lying down, and has two built in grab handles and a pull cord for holding on to. It is a UK manufactured sledge and not made in China like most sledges are. It weighs a lightweight 1.3 kg and is suitable for a maximum rider weight of 60 kg. It is CE rated and comes with a pull cord.